NOTICE: The section of this website showing the actual Try Z Seminar results(+338) from all the companies we have worked in is presently being updated. A separate Menu will appear on the home page entitled, ‘The Try Z Seminar’ when you log in will be available shortly. If you wish to see the companies to which we have presented the Try Z Seminar, return to the Home page and click on the Menu – ‘Try Z from 1989’. This opens this information. This is the complete list of Seminars conducted in the various companies. As stated, when the actual +338 Seminars’ section is updated you will be able to see the full results of every seminar with pictures and data. 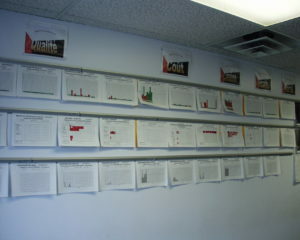 Examples of Green Room Data walls will be seen in the article below. Many companies have Team Meetings, Huddles, weekly or daily, even some are called The Green Room. 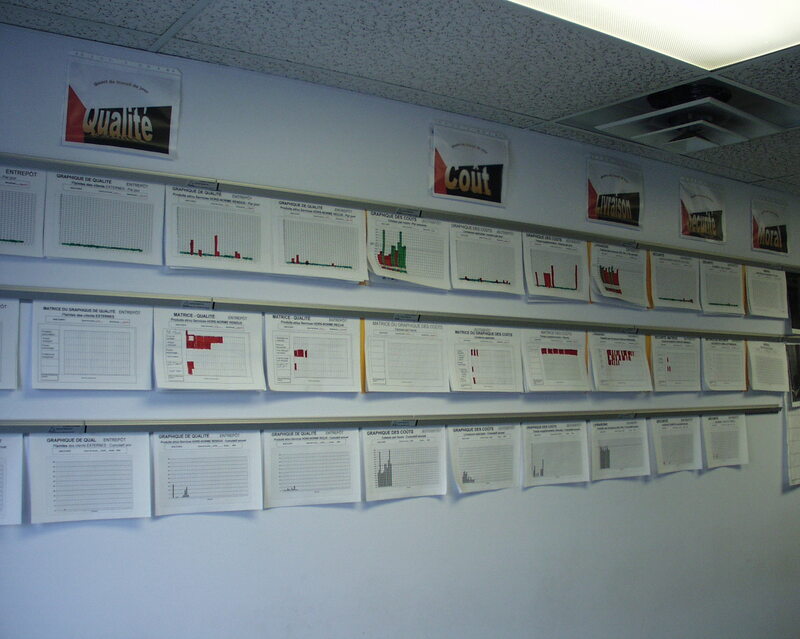 Daily, up to the minute and displayed data/information is the focus of the meetings and the participation of all in the meeting is required to manage the issues that arise with a fixed Agenda. A third requirement is that these meetings are complemented by similar meetings up the management chain. Please refer to the list of items down the left hand side of this page and click on the link: THE GREEN ROOM MEETING for more information. In today’s highly competitive world every company is seeking ways to reach out to their customers, improve their market share and grow their businesses. No matter what decisions are taken to achieve these goals, little progress can be made without the full participation of ALL members of the company. Empowering and enabling employees to not only share their goals but to actively participate and promote them is the greatest challenge to this success. QCDSM is the process that addresses this fundamental challenge. 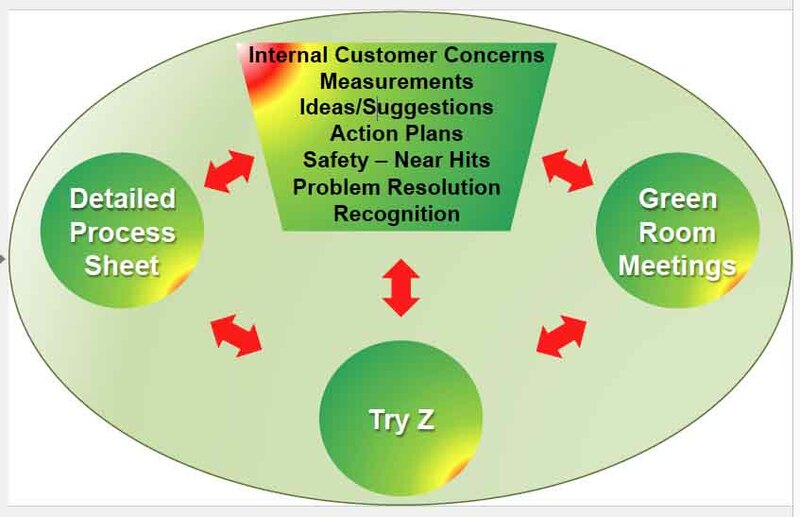 The process whereby the people of a company are enabled through their participation in decision making, problem solving, safety enhancement and delivering improved efficiencies and productivity using Lean Principles such as waste removal and continual improvements is the next step in a company’s push for excellence and growth. Please contact us today to find out how we can help you take your company to the next level. (info@qcdsm.com) +64274743357. 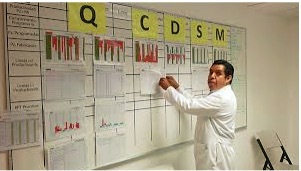 This website contains detailed information on the QCDSM process. Click the links on this page to learn more about each stage of the process. 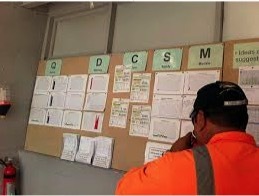 QCDSM is an holistic process empowering the people of a company to manage their areas and to ensure that the supply chain is healthy and running smoothly. The added benefit is that it also empowers the people to offer their ideas and suggestions based on the visual measurements in their areas, on how to improve productivity and efficiency. This graphic may assist in understanding the system. 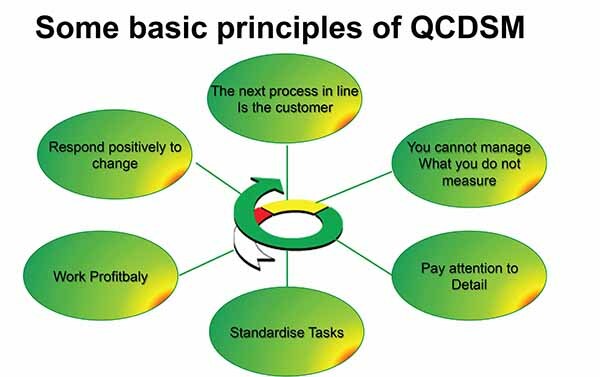 A summary of the basic QCDSM principles.